INDUSTRY.co.id - Jakarta - PT Bank Rakyat Indonesia Tbk (BRI) will issue a non-cash card Brizzi 12 million until the end of next year. A total of two million cards are the Brizzi Asian Games series. 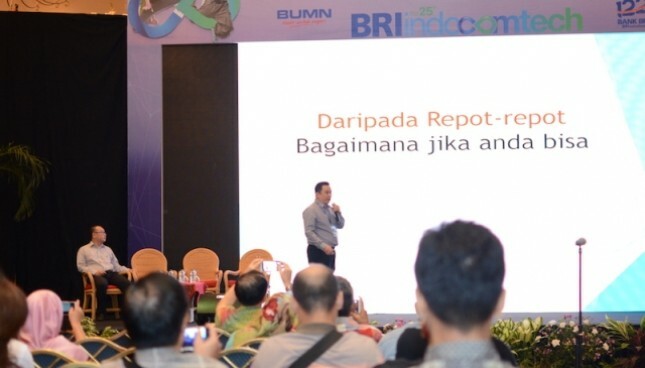 Brizzi card Asian Games series is sold at Rp50 thousand. Handayani added, specifically at the launch of the first day, the buyer is given bonus balance up to Rp150 thousand. However, under normal conditions the sale of the card has not been completed with the balance. "So buy Rp50 thousand balance Rp0," he added. Until the end of 2017, Handayani mentions, the company will publish Brizzi card series Asian Games as much as 25 thousand to 30 thousand cards. The average transaction per card is estimated at Rp500 thousand. "The total transaction until the end of the year may be Rp1, 5 billion yes special Brizzi Asian Games," he said. If the target issuance of two million cards Brizzi series Asian Games realized until the end of next year, the total targeted transactions amounted to at least Rp1 trillion. Handayani revealed, the total number of Brizzi cards that have been circulating at this time reached about 7.8 million cards. On average, cards are transacted at toll booths. "It is very fast due to the increased card requirement, because to pay the toll," Handayani said.